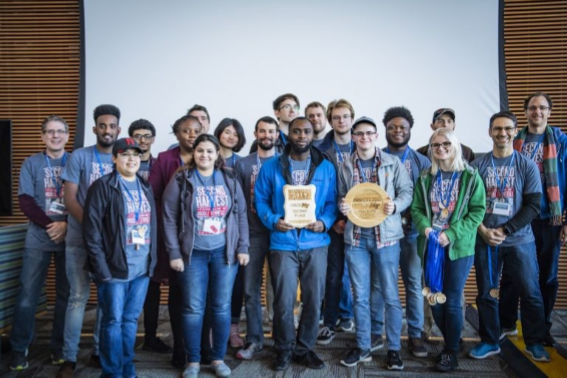 Congratulations to the Students at TCAT for winning the HACKMT 2019! 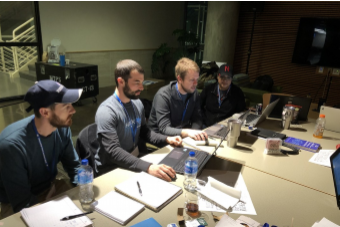 Over the weekend students from 5 colleges; TCAT-Murfreesboro, MTSU, APSU, WGU, and Belmont University, joined forces for the fourth annual HackMT event. 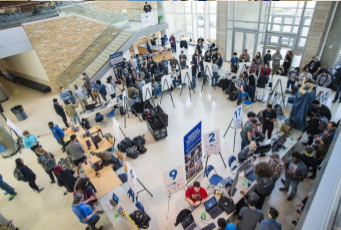 The event consisted of about 18 teams attempting to solve various problems in the surrounding community. The problems ranged from augmented reality to self driving robots to geo-locating body cams for women. All of these teams had differing ideas of what needed to be solved, as well as methods of doing so, but they had two very big things in common. First, they were motivated and committed to solving their problem. Second, they only had 36 hours to do so. 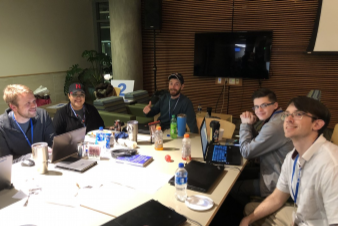 Of all the great causes the various teams proposed attempting to solve, Team 2 – Second Harvest was the most noble (I may be biased here). The mission of the Second Harvest Team was actually quite simple, take all of the billions of cells of data that Second Harvest had at their disposal and find out how to make their internal warehouse processes more efficient, identify prime products for grouping, and really nail down where their food is going. Frank Ellmo, the Sr. Director of Operations at Second Harvest, didn’t think so either. He knew exactly what we were up against. Nevertheless he gave us tons of support and was always available to answer our questions about the data. This was easily the single most mentally challenging and most educational 36 hour stretch of my life. For any who know me or the adventures I have endured, that is really saying something. Our basic process started with getting all of dirty data and cleaning it. We had to make sense of it and discard the stuff that wasn’t useful. This process more or less lasted up until the 30th hour. 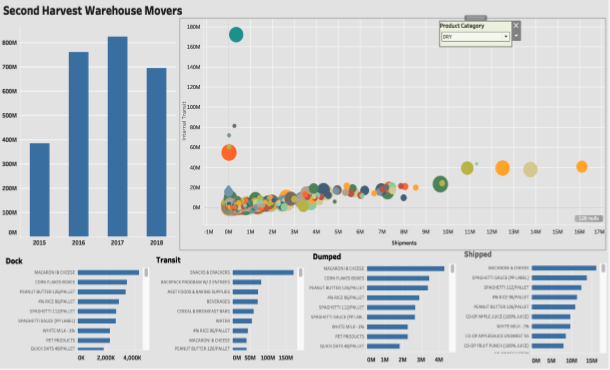 Some data was ready far sooner, but we would often find holes in what we needed and had to go back to the original data to figure out how to extrapolate what we needed from what was available. Once the many hours of cleaning and sorting data was done, the hard part could begin. The second major part of our event was to take all of that clean data and make it make sense. We needed to make it tell us the secrets that it didn’t want to share. For this we began building models to tell us the trends, the density of occurrence of an action, or whatever else we wanted to find out. This process was probably the most challenging because we were beyond the point of tired, we were mostly delirious and simple thoughts like “I need to make a scatter plot.” came out like “I can’t remember how to graphically show a correlation between these two thingies.” After this statement, I remember a small group of us staring into nothingness for at least a few minutes before somebody said “Scatter chart, er uhh, scatter plot?” Then another 30 seconds passed before the comprehension sank in and we were back in business. We next began building and refining our visuals and started setting up for our demo of our project. During this time, the magnitude of what we had just accomplished finally began to sink in. It was also during this time that we had already began to formulate things we could have done better for next time. We were proud that we had accomplished what we had set out to do and it eventually dawned on us that what we had accomplished was actually laying the framework for allowing Second Harvest to feed more people with less waste. We were able to do something, in a mere 36 hours, that would make a life or death difference to real people. Ours wasn’t a theoretical project that may, or may not, come to fruition. Our project was actually going to be used to affect change. Now on to the judging. Judging was done for two separate categories: Professional Choice, which consisted of 1st 2nd and 3rd. Professional Choice was chosen by industry professionals and faculty at MTSU. The second award is the Hacker’s Choice award, which was chosen by the contestants. (The Hacker’s Choice award is the far more prestigious of the two.) There is only one winner of this award. Once the votes were tallied our Second Harvest team came in a very respectable Second Place in the Professional Choice Award! I am very honored that we were so well received. Next came the Hacker’s Choice Award, which we were thrilled to receive. Congratulations team Second Harvest! Keep in mind that The Fox & Goat Coffee Company was pumping team Second Harvest full of their famous Industrious Beaver Blend, so we may have had a bit of an unfair advantage. Either way, we won! We hacked the data and helped to feed those in need! 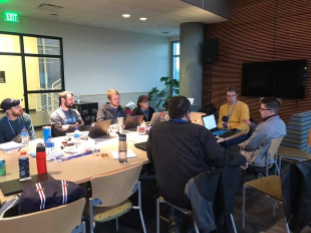 By the end of our adventures into the realm of Data Sciences, the group of us had learned far more than I can ever describe, gained a new respect for each other, and had a very strong desire to keep learning re-ignited. I would like to thank those fellow TCAT students that stopped by at the odd and random hours to lend their support. I would also like to thank Charlie Apigan of MTSU for inviting us out for the fun. Most importantly, I would like to thank Second Harvest for giving us the opportunity to lend a hand. It was a truly humbling, rewarding and motivating experience.